Winter Weddings and Christmas Weddings are one of my favorite subjects in photography. Though the weather is not always in our favour, the light may be surprisingly beautiful, creating a warm, soft effect in pictures. 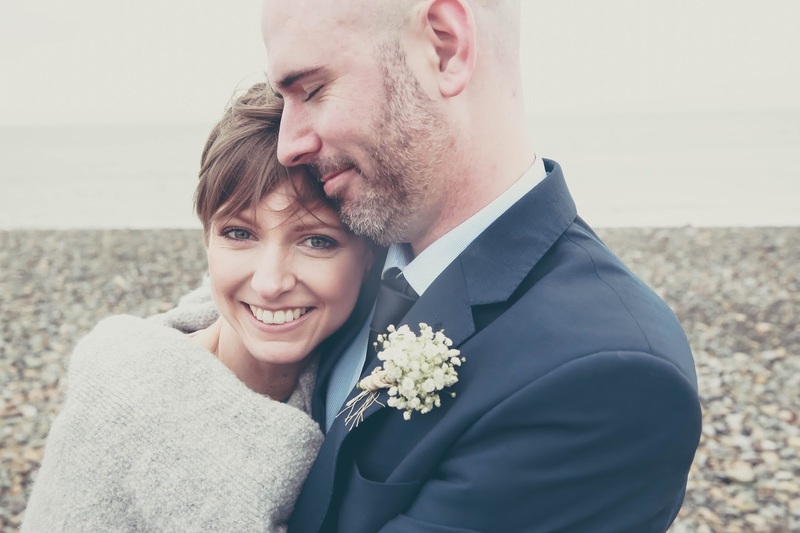 In this photograph we can see Abi & Steve on the beach just after their wedding ceremony, in Bray. The morning was cold and the sky was grey but it provided amazing natural light, no extra artificial lighting was needed! The beach was empty that gave us a space for finding the right angles and composition.